We often talk about how successful social media influencers can be at spreading the message for a business. But as we discussed in Top 10 Employee Advocacy Programs To Increase Your Brand Reach it is often a firm’s employees who can be their best supporters online. Employee advocacy can be a powerful marketing tool for any organization. Consumers have always valued endorsements and recommendations. This is why marketers include testimonials in their copywriting. They even did this in the pre-internet age, with happy recommendations attached to most mail order and long-form copy. While the ultimate testimonial probably comes from a satisfied customer, the views of a happy employee are not far behind. Consumers are always searching for third-party recommendations and reviews of products. According to Cisco, the social posts of a company’s employees generate 8 times more engagement than posts from an official company account. The work of employee advocates can be doubly effective for firms who market their products to people who are similar to their employees. In that situation, you receive the added benefit of knowing that your employees’ social audience is most likely to match the target market you are trying to reach. However, even if your employees don’t precisely match your target market, they can still make excellent advocates. There will probably be many people in their social lists who have an interest in your product, or who at least share your employees’ posts with people likely to be interested. Another advantage of employee advocacy programs is that they are comparatively cheap marketing. You will have to allocate some time for your program leaders to work on the program. You may also need to create some rewards or incentives for your prolific posters. But that aside the cost of operating an employee advocacy program is minimal. So what should you do if you feel employee advocacy would work in your organization? Here are six steps that you should take to make employee advocacy a powerful tool for your company. Let’s be honest. Employee advocacy is not suitable for every business. Indeed some firms have toxic relationships with their employees which would destroy any chance of success. Luckily most companies are not like that. Most workplaces are harmonious with employers and employees who feel a sense of loyalty towards each other. You have to be honest with yourself here. If your employees do not love their jobs, they will not make suitable employee advocates. Sure they may rush together a quick post if they feel that they have to keep their job. But their lack of enthusiasm will show through. You probably already know how your employees feel about your company culture. If you are at all uncertain, you can often discover their true feelings at Glass Door, where employees leave anonymous reviews about their workplace. For instance, the average review for Sears is 2.7 (out of 5). This comes from 10,000 reviews. 28% would recommend Sears to a friend. If Sears were to introduce an employee advocacy program, they might want to first look at improving their company culture, to generate better review ratings. 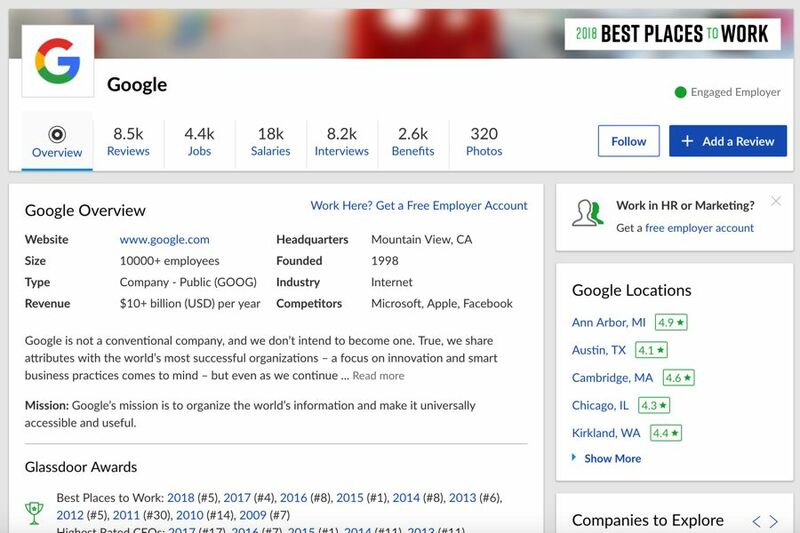 On the other hand, Google (who is well known for its unconventional HR practices) has an average Glassdoor review of 4.4 from 8,500 reviews, with 90% saying they would recommend Google to a friend. Both of these businesses are, of course, sizeable. You would always expect them to have a mix of happy, unhappy, and neutral employees. But no employee advocacy program will work if you don’t have sufficient employees willing to promote the positive virtues of their workplace. Of course, you may operate a much smaller organization. It is possible that you could have near-100% satisfaction, with everybody willing to act as an employee advocate. If employees feel comfortable with their company culture, they have a reason to extol the company’s virtues. Indeed many employees prefer to work at a lower-paying happy company, rather than at a higher-paying company with an uncomfortable work atmosphere. Assuming that you operate an employee-friendly environment with positive company culture, you need to encourage your employees to participate in your employee advocacy program. There is a vast gulf between liking a job and actively promoting it on social media. For a start, many employees probably think of themselves as “ordinary people” and have little if any experience of marketing anything in their social media accounts. You need to show your employees how their participation can help them. There needs to be some incentive for them to participate. Some companies set up a gamification feature to encourage employee participation. They compete to see who can make the top of the company leaderboard. You could give some tangible reward to those who perform particularly well on the company’s behalf. You might even be able to show your staff how their participation could lead to management recognition, perhaps even providing promotion opportunities. 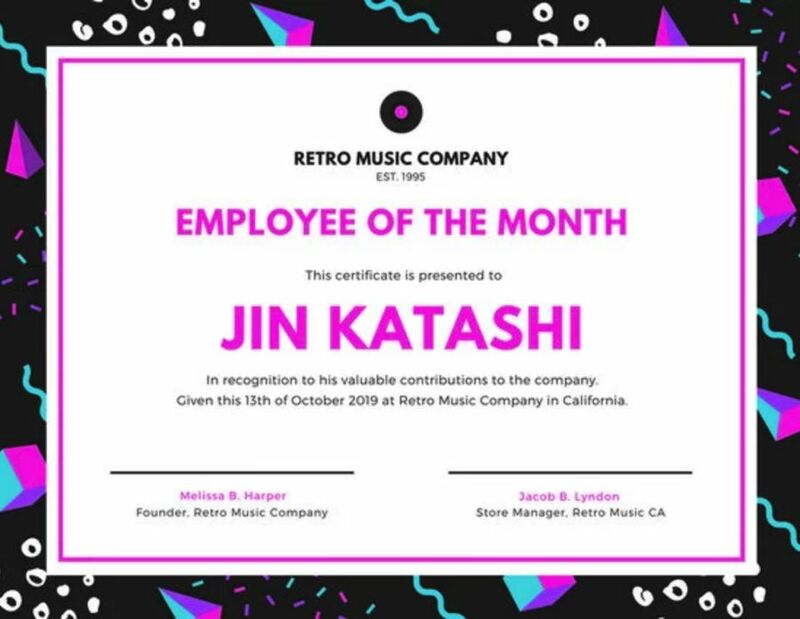 Implementing a scheme like “Employee of the Month” can help with employee morale. 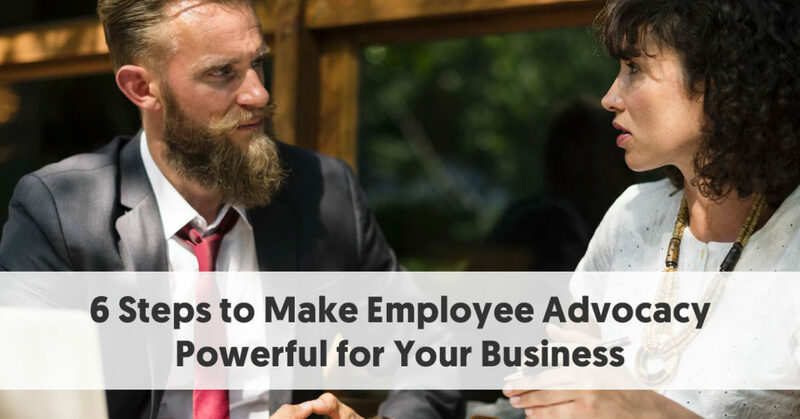 While you would not generally base this solely on their employee advocate activities, you could include these as a consideration. You could also recognize your talented and active employees in your company publications and on your website. Of course, if you have first developed a genuinely positive company culture, you should be able to ask your employees what they would appreciate as an incentive to participate in your employee advocacy program. You will probably have to devote some time and budget to training the employees who want to be part of your program. You can help train employees to show them the role they play as company representatives and advocates. As with any marketing program, including influencer marketing, you should set goals for your employee advocacy program. You need to be able to determine whether it has been a wise investment of your time, funds, and other resources. It is all very well having “warm fuzzy” feelings because your employees say nice things about your business. But that’s not going to help your bottom line. It will also make things easier for your employees to know what your goals and targets. You can indicate to them the kinds of posts they should create and the areas where they should place their emphasis. For instance, if your goals are to increase visitors to your website, your employees would design posts that would send their followers to your site. If you want to raise awareness of your business, your employees will target their posts on educating their followers about your brand. And if you hope to use your employees to sell more of a particular product, they will focus their posts on reviewing and discussing that specific product. Depending on how large your organization is, and the demographics and psychographics of your staff, your employees, are likely to have a wide range of social media skills and experience. Some of your younger employees may have operated a Facebook account since they were a young child. Some of you older staff members may still wonder what social media is, and have never heard of Twitter, Instagram, or perhaps even Facebook. Even the more experienced social media users are unlikely to be used to making posts on behalf of an organization. They may be uncertain what types of messages they should make. Their usual social message style may be too casual, informal or irreverent for postings on behalf of their employer. Any firm wanting to participate in employee advocacy should set guidelines to assist their staff. These should include things like the type of language acceptable (and unacceptable), how often employees should post, how to react when somebody messages back or leaves a comment. You want to make advocacy easy for your employees. A set of simple, clear guidelines should ensure that the process runs smoothly. You might start your employee advocacy program with much buy-in and enthusiasm, but people will drop off and stagnate unless you have leaders to drive everything. Your employees will soon tire once it becomes drudgery and if they do not receive feedback on their progress. Without leaders, you will also lack consistency. Employees will post whatever they feel is suitable, whether you have issued guidelines or not. An essential requirement of using most employee advocacy software is to provide leaders with special access rights so they can take control and monitor the process. Often the leaders will write a range of posts for the employees. This ensures that all workers post consistently and on track to meet the company goals. You need to ensure that you have social media and communications savvy leaders who can engender positive feelings within the staff and who can motivate them to participate in the program on an ongoing basis. Having set goals at the beginning of the process, you need to keep track of the relevant statistics to measure your success. If you aim to increase visits to your company website you need to check your Google Analytics at regular intervals to see if there had been a corresponding increase in visitors, particularly by social and referral means. 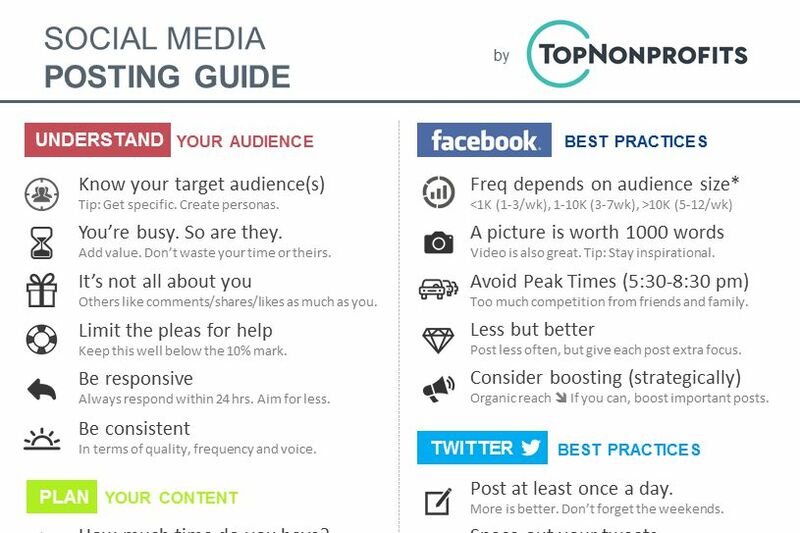 Most of the employee advocacy apps we have looked at offer a range of social media metrics. You can often break these down into statistics relating to the postings of individual employees. You can use these stats to help you determine your best employee advocates. They will also give you aggregate records on your total reach and the different types of engagement. Make sure you provide these critical metrics to your project leaders so that they can share them with the employees who have participated in your program. This can help as an incentive to people to perform better in your next campaign. Be prepared to listen to your employees’ views on how the program went, and be ready to make changes to your next campaign, based on feedback and the metrics you have analyzed. You should never underestimate the power of word-of-mouth. Buyers will always go for a positive recommendation or review before they believe a company’s own marketing messages. As a whole, a company’s employees will have a more extensive social reach that the company itself has. Different employees probably spend time on most social networks, from Facebook to Pinterest to Twitch to Google +. It is unlikely that many businesses will run social accounts across as wide a range of social networks as their employees. Employee advocacy is still relatively new. It is possible that your competitors have not even considered it yet. This gives you a chance to try this out while it is still fresh and compelling.